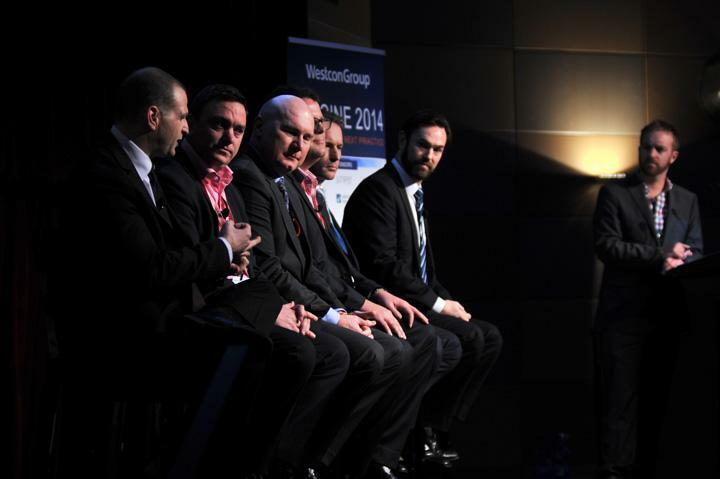 A selection of Westcon Group’s vendor partners sat alongside the distributions Asia-Pacific services and Cloud solutions director, Darryl Grauman, to negotiate the state of resellers in the current Cloud climate, and where small to medium-sized businesses (SMBs) fit in its adoption. The session was moderated by ARN Editor, Allan Swann. What are the biggest challenges of moving into Cloud for SMBs? Sam Gerner (SG), Cisco Cloud strategy director: The productivity gains, efficiencies and costs of Cloud are so compelling that the challenge surrounds the risks taken to get there quickly. Because it is such a fast-moving landscape in terms of both technology models and software platforms, the changes are that SMBs will get locked into things that are not as economically viable as this landscape evolves. While the immediate benefits are there, it is important to ensure you do not get caught in the wave of transition in an industry that is moving very rapidly. Darren Reynolds (DR), EMC presales manager: Keep in mind that it is really important that [resellers] look at managing compliance and security issues. The best way to control that is to keep it on premise, but also move workloads and data to public Clouds where most appropriate. Benn Alp (BA), F5 solutions architect: The rise of the Cloud over the last few years has been about a shift in control away from IT departments to a world where anyone in the business can sign up to any software-as-a-service (SaaS) with a credit card. The challenge is to be able to consistently apply application and security services as a whole so there is a consistent, secure, and controlled user experience. What about moving legacy systems into the Cloud? Tony Simonsen (TS), Avaya managing director:: A lot of the larger companies we are talking to have legacy investments and are looking at how to move to the Cloud. They have made the decision but do not know how to get there, and that is the hardest part. Those large companies want to maintain some of those legacy investments and utilise some of the benefits Cloud brings. Small companies – the midmarket and below – are embracing it quickly. They do not want to be owners of IT, they want to consume a service, and focus on their core business. Ricky Butler (RB), Smart Tech A/NZ country manager: It is about the adoption of the productivity gains how resellers can embrace new technology that will allow them to reinvent their business through new approaches, and the different models they are getting from customers. For us, it is about looking at how to take our technology and reinvent it to make customers and partners more productive within their own organisations. Darryl Grauman (DG): I think that we would get faster adoption from SMBs if it wasn’t for some of the resellers that are getting in the way. Right now, some resellers have not adopted the Cloud well, and they are putting the fear of god of Cloud into these SMB customers. Why? Because they do not make a living when something goes into Cloud. They are betting their businesses on dropping the licensing and selling tin with a two to three-year maintenance contract up front. That is how they are feeding their families, and are therefore saying Cloud is bad. Until some of these new emerging resellers can take over, the SMB move will be slowed. When smaller IT resellers get their head around Cloud and starting embracing it, uptake will happen a lot faster. TS: I don’t disagree, but I think it is our collective role to help resellers understand how it can be beneficial. DG: You are right. It is the help we give to resellers and end users about what Cloud can do. But a lot of advice customers take is from resellers. If these resellers back off from Cloud, end users will never get there. Are you seeing SMBs going to public too fast and pulling back? DR: I don’t see too many customers which have jumped entirely into the public Cloud. I don’t think it will happen in the near future because there just needs to be that security, control and performance that you get on premise. There needs to be a balance, and workloads must be defined very carefully. As things change over time, [resellers] must readjust, as that service broker, to take on those new services and provide them to customers. How do resellers make money out of Cloud? BA: Organisations recognise they are not going to source every piece of their application architecture from one particular type of Cloud or on-premises. It is the organisations that can provide the advice and ensure it all seamlessly fits together which will be successful. The most innovation organisations we talk to acknowledge Cloud is real, and want to be a Cloud provider in offering all the same authentication services and wrapper around applications so customers can source services from a mix of sources. DG: Vendors have to make Cloud profitable for resellers, and assist with sales training and technical enablement. But each reseller, at a business level, must understand that services will change, and that therefore new training will be required. Resellers need to understand what their ‘next’ will be so they can feed their people while they grow their annuity engine underneath it.